I am sure I will share the occassional wish when the time is right, many of them were very memorable. 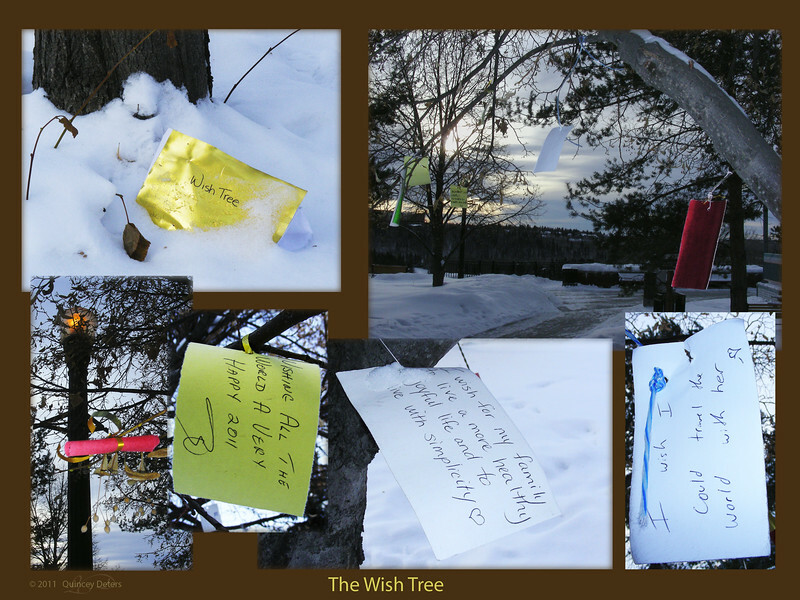 For instance, one of them said "I wish I was not so afraid to wish". I truly hope that person got their wish. this is great! nice collage and shots! What a wonderful find! Terrific presentation, can't wait to hear more wishes! I love this collage. What a great idea. I hope you get a chance to go take some more photos of tree. A rarity in this day and age.